District is available as both modular carpet or a hybrid resilient sheet flooring and expresses the harmony and rhythm of basic geometric forms in the Mondrian style. 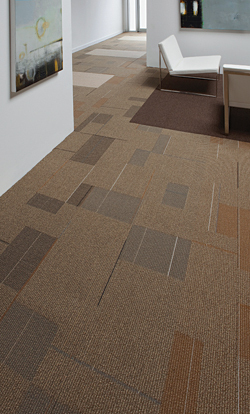 Three patterns incorporate various levels of pile height and ground to create visual depth. Available in 17 color selections.